Winter vacations can be extremely fun, and can provide the perfect conditions for creating memories that will stay with you for the rest of your life. For skiers and snowboarders, the appeal of a winter vacation is self-evident: the excitement and the adrenaline rush associated with speeding – or gracefully slaloming – down the side of a mighty mountain is enough to keep drawing passionate skiers and snowboarders back to the slopes of the winter resorts year after year. And with so many great Jackson Hole vacation rentals providing convenient access to nearby ski slopes, this part of Wyoming serves as the ideal place to choose for your upcoming winter break. But for those who aren’t so interested in skiing or snowboarding, the idea of a winter vacation can sometimes seem less than appealing However, when you do your research and select a winter resort with plenty of options besides skiing and snowboarding, you can rest assured that your winter vacation will be one that everyone enjoys. Below are some of the very best things to do in Jackson Hole during the winter months – try to incorporate at least one or two of them into your winter vacation, and you’re bound to find that it’s not just the skiers and snowboarders who are going home with fond memories and plenty of stories to tell! It seems sensible to start with the obvious: skiers and snowboarders will find plenty to keep them occupied during a winter vacation in Jackson Hole. 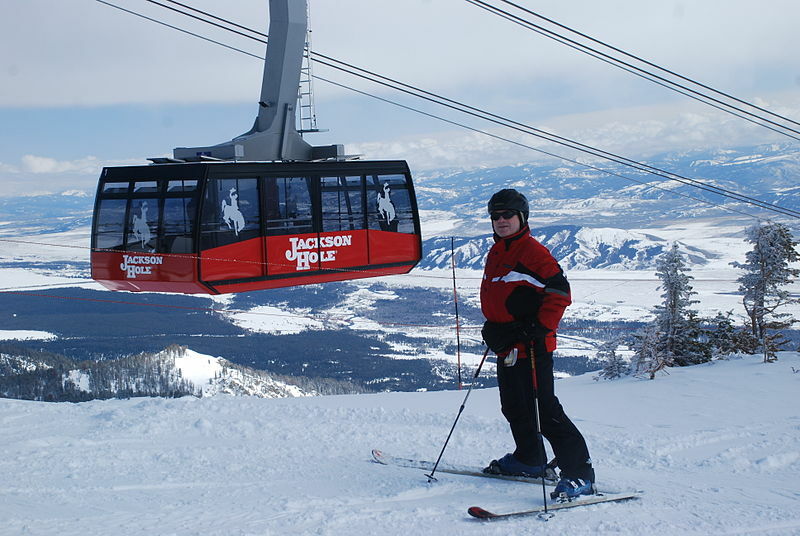 With easy access to the Jackson Hole ski resorts and the Teton Range, there’s more than enough to keep both beginners and advanced enthusiasts happy. If you’re looking for a way to get out and do some physical activity in the snow but you know that downhill skiing simply isn’t for you, snowshoeing is a great alternative. Jackson Hole offers many trails for visitors to explore on snowshoes; and, if you’re keen to take your snowshoeing experience up to the next level, you can always book yourself onto one of the guided snowshoeing tours on offer in the Grand Teton National Park, combining fun, exercise and scenic touring! Similarly, there are lots of cross country skiing opportunities in the region. With the same combination of fun, exercise, and sightseeing, cross country skiing on one of the tracks in Jackson Hole or on one of the guided tours in Grand Teton National Park is a novel and extremely peaceful experience. If when you’re on vacation you prefer not to exert yourself too much, you can always take advantage of one of the many opportunities for sleigh rides that exist in Jackson Hole. There’s little in life that feels more magical than sitting wrapped up in a horse drawn sleigh as you, your family and friends glide through a winter wonderland surrounded by natural beauty. Some sleigh rides take you through the National Elk Refuge, giving you the unique opportunity to get within a few feet of one of North America’s most iconic creatures – and possibly allowing you to see other animals such as eagles and foxes, and maybe even wolves or bison. A very tranquil and festive experience, a sleigh ride in Jackson Hole is a great way to entertain everyone in your group all at once – and to create shared memories that you all will cherish. Perhaps less festive than a horse drawn sleigh, a dog sled nonetheless offers the authentic winter wilderness experience. While you’re being pulled along by the enthusiastic Alaskan dogs, an experienced guide will tell you all about the local wildlife you’ll encounter, such as elk, moose, bighorn sheep and eagles. You’ll have the option of taking a full day tour, in which case you’ll have the opportunity to stop off at such incredible locations as the Granite Hot Springs, where you’ll be able to enjoy a warm and relaxing soak in the waters of the remote natural spa. If you’re a bit more of an adrenaline junkie, you may prefer to experience the natural wonders that surround you by snowmobile. Snowmobile tours are also led by experienced guides who will tell you all about the surrounding landscapes as they drive you along at an exciting and invigorating pace. There is an abundance of snowmobile tours available, including tours of the world famous Yellowstone National Park – the first national park in the world. Other tours include Greys River, the Gros Ventre Range and Togwotee Pass, and many give you the opportunity to visit famous local landmarks. Yellowstone tours, for example, give you the opportunity to visit Old Faithful – a geyser that spurts water and steam up to 140 feet into the air every 90 minutes or so and which has become perhaps the park’s most popular attraction. On other tours, you may have the opportunity to relax at the Granite Hot Springs. If snowmobiling isn’t enough to satisfy your thirst for adrenaline, snowtubing surely will be. Rope tows and conveyer lifts allow visitors at the many snowtubing parks to quickly and easily ascend the slopes – meaning less time is spent ascending the hills, and more time is spent coming down! With some parks offering slopes with steep gradients and plenty of twists and turns, you can be sure that even the most energetic thrill seekers will be satisfied with this increasingly popular family recreational activity. Winter vacations don’t have to revolve entirely around skiing and snowboarding: there are plenty of other activities available that can allow you to create a well rounded winter wonderland experience for all the family – and there’s nowhere better to do it than at Wyoming’s Jackson Hole!